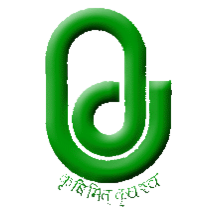 Sardarkrushinagar Dantiwada Agricultural University (SDAU) has published Advertisement for below mentioned Posts 2017. Other details like age limit, educational qualification, selection process, application fee and how to apply are given below. [Associate Professor / Associate Research Scientist and its equivalent (Renewable Energy & Environmental Engineering) Faculties. How to Apply: Eligible candidates may apply online & send their application & necessary documents to given address below. Address to sent Applications: Registrar, Sardarkrushinagar Dantiwada Agricultural University, Sardarkrushinagar.